(VOVWORLD) -Vietnam’s permanent mission to the UN held a ceremony to pay tribute to President Tran Dai Quang and opened a funeral book from Monday through Tuesday (New York time). 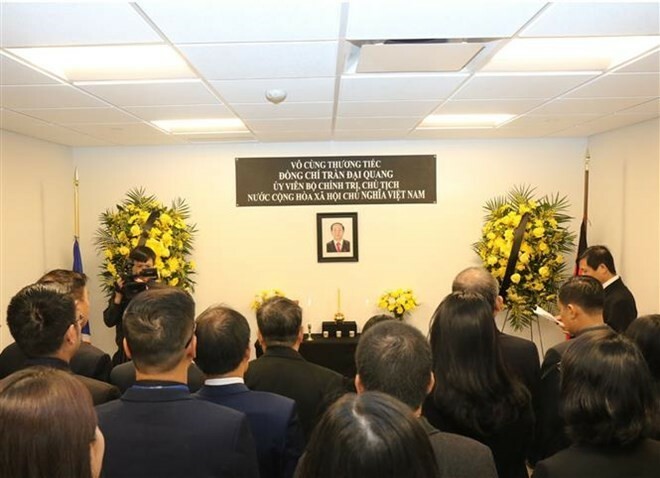 Large numbers of overseas Vietnamese, ambassadors and representatives from delegations to the UN, international organizations in New York and local officials came to the mission’s headquarters to pay respect to the Vietnamese President. The heads of State and Government along with senior officials of many countries, who are in New York for the high-level meeting of the 73rd UN General Assembly, also paid tribute to President Tran Dai Quang. Writing in the funeral book, the guests expressed deep condolences to the Government and people of Vietnam over the death of the Vietnamese President. On Monday, the UN flied the flag at half-mast in tribute to the Vietnamese President. On Wednesday morning, the Vietnamese Embassy in Australia and the Consulate Generals in Sydney and Perth, and the Vietnamese Embassies in New Zealand and Russia opened a mourning book for diplomatic corps and overseas Vietnamese communities to pay tribute to the late President. On Wednesday, Lao state agencies lower the flag to half-mast to remember President Tran Dai Quang. 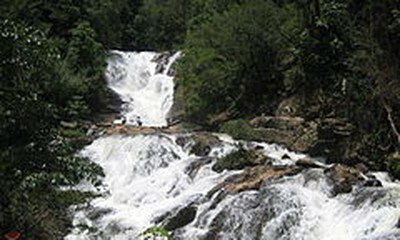 This is a special national mourning formality practiced in Lao-Vietnam relations.